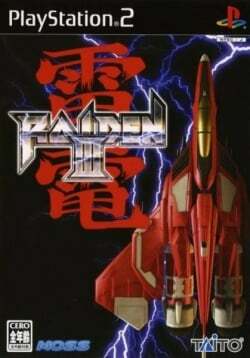 Game description: One of the most beloved shooter franchises makes it way back to the PlayStation 2 with Raiden 3! All of the features that fans have grown to love are back, with even better graphics, sounds and gameplay that made this series legendary! New concepts are introduced, which includes a "new 3D scrolling system" that involves the camera pointing down normal to the player while the scenery moves in three dimensions: climbing, descending, and sometimes moving vertically. The blue Laser concept is more like a beam, instead of the ones seen in prior instalments. This page was last edited on 25 June 2018, at 20:07.